Parcol: your control valve solutions provider for power generation, oil and gas, ammonia-urea plants and desalination plants. Parcol's control valve design meets the most demanding requests of compressor antisurge service in terms of: robust construction, reduced noise and vibration, high reliability, fine control amd high-speed cylinder actuators. VeGA 1-6940 control valves by Parcol are available with diameters of up to 24", quick-change trim and characterization through holes in the cage. 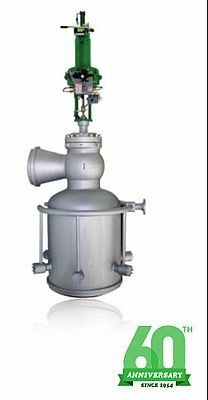 VeGA globe valves are used in services which are critical in terms of pressure, temperature, noise etc.